Kira Nam Greene’s work explores female sexuality, desire and control through figure and food still-life paintings surrounded by complex patterns. 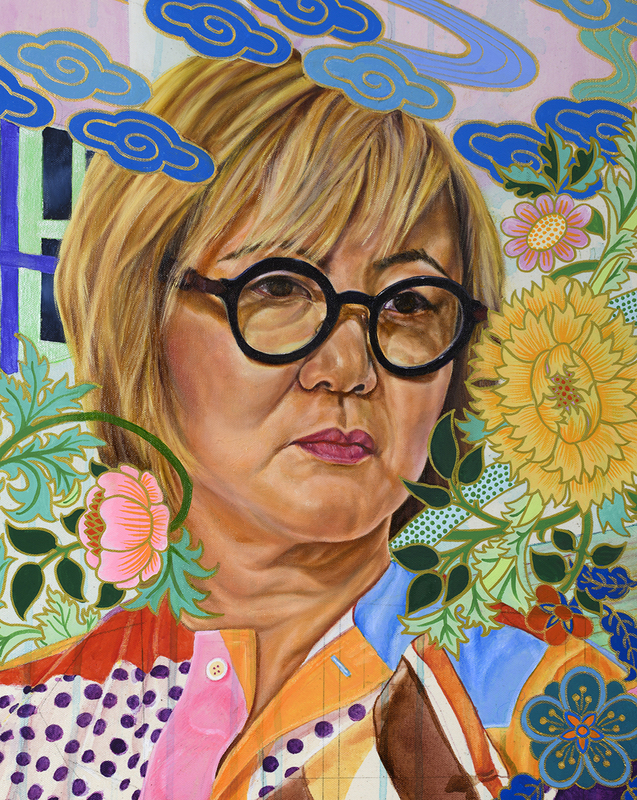 Imbuing the feminist legacies of the Pattern and Decoration Movement with transnational/multicultural motifs, she creates colorful paintings that are unique combinations of realism and abstraction, employing diverse media such as oil, acrylic, gouache, watercolor and colored pencil. Combining Pop Art tropes and transnationalism, she also examines the politics of food through the depiction of brand name products and junk food. 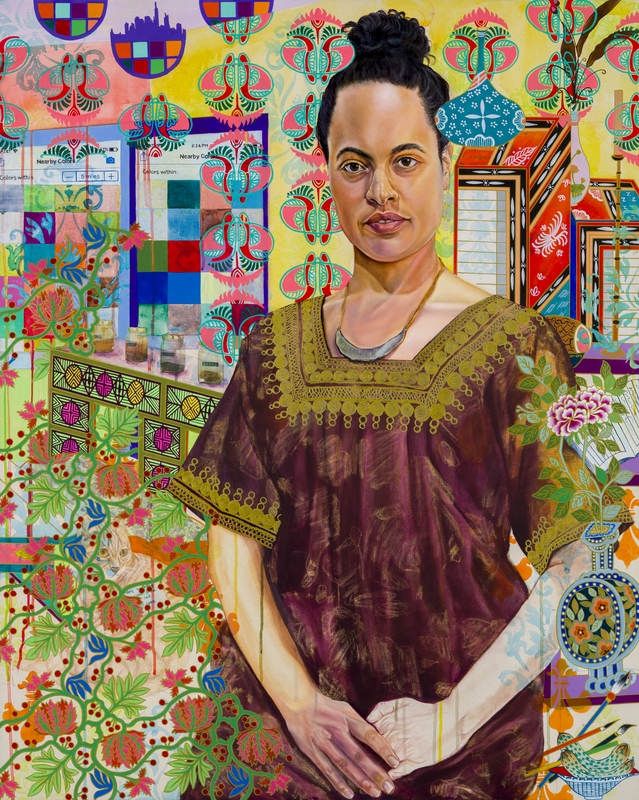 Recently, Greene started a figurative painting series titled “Tribal Council.” Spurred by the election of Donald Trump, Women’s March, #metoo movement and an ensuing crisis of conscience, this new body of work aspires to present the power of collective action by women. 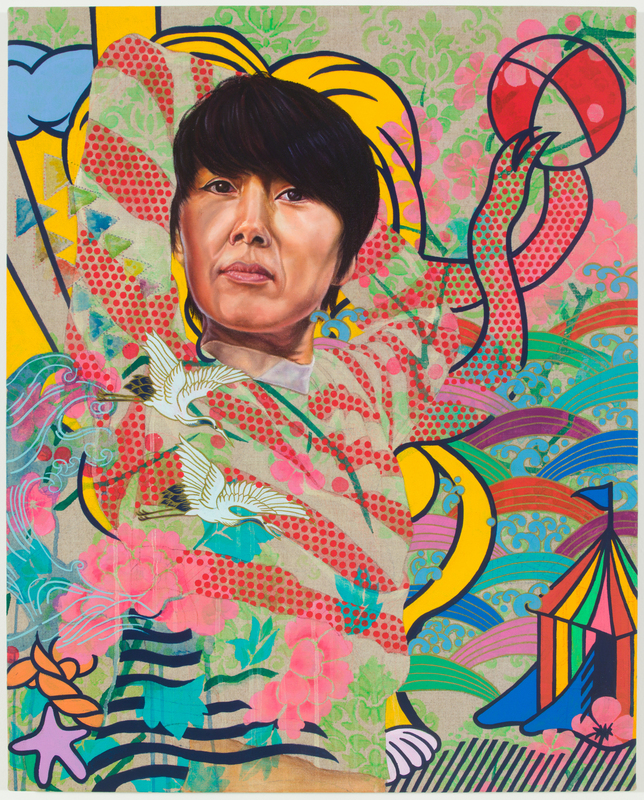 Born in Seoul, Korea, Greene lives and works in Brooklyn, New York. She received her BFA from the San Francisco Art Institute, her MFA from School of Visual Arts, and her BA in international relations from Seoul National University. 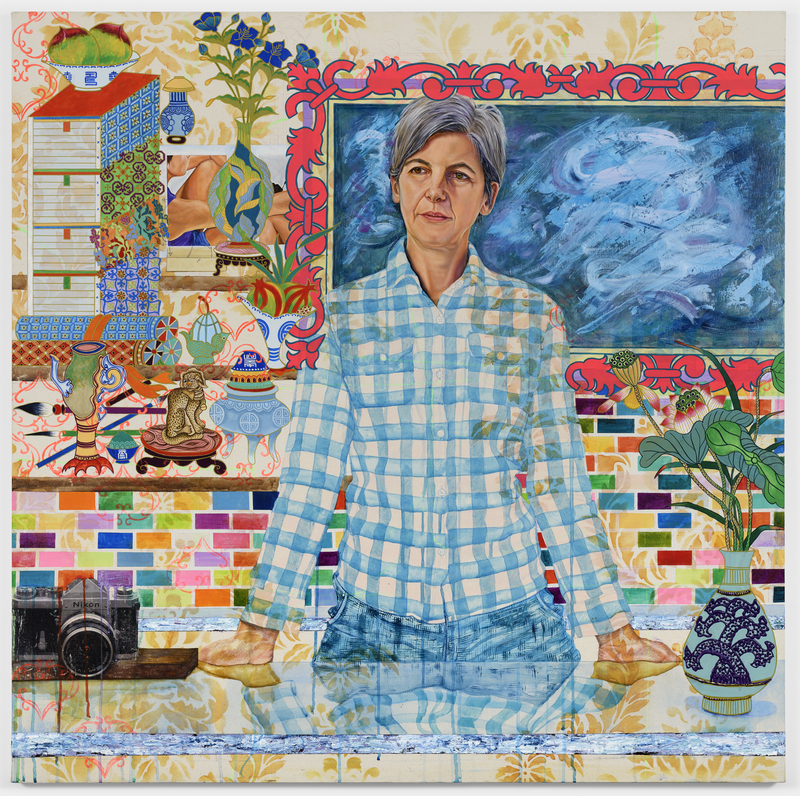 Prior to becoming an artist, Greene earned her Ph.D. in political science from Stanford University, specializing in political economy in East Asia, and taught a wide variety of subject matters in Political Economy both in academic and business settings. Greene has shown her work widely at venues such as the Sheldon Museum of Art, Brown University, Salisbury University, Wave Hill, Bronx Museum of Art, Noyes Museum, Accola Griefen Gallery, Lodge Gallery, Kiechel Fine Art, A.I.R. Gallery and Jane Lombard Gallery. Her work has been covered in publications such as Artnet News, Art F City, Wallpaper, W Magazine, Lincoln Star Journal, Art21 Blog, Hyphen Magazine, The Korea Daily and New York Art Beat. She was a Stewart MacMillan Chair in Painting at Maryland Institute College of Art, Baltimore, in 2017-18 and is currently a part-time faculty of at the New School Parsons School of Design Master of Fine Arts program. Greene resides in Brooklyn, New York. Chloe and Tommy, Oil, acrylic, flashe and xerox transfer on canvas, 50" x 40", 2018. Barbara at Café Folies-Bergère, Oil, flashe, acrylic and xerox transfer on canvas, 50" x 50", 2018. Sun with a Beach Ball, Oil, acrylic and flashe on linen, 30" x 24", 2018.